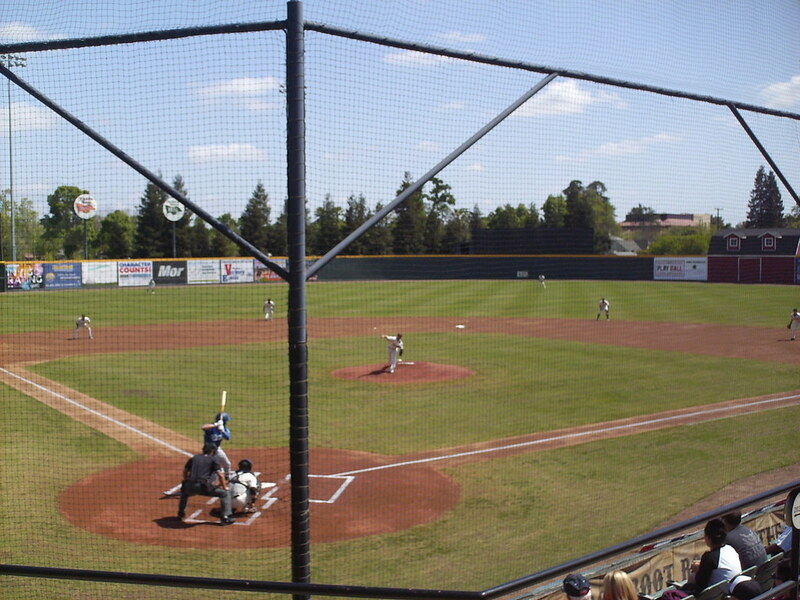 The view from behind home plate at Recreation Park. 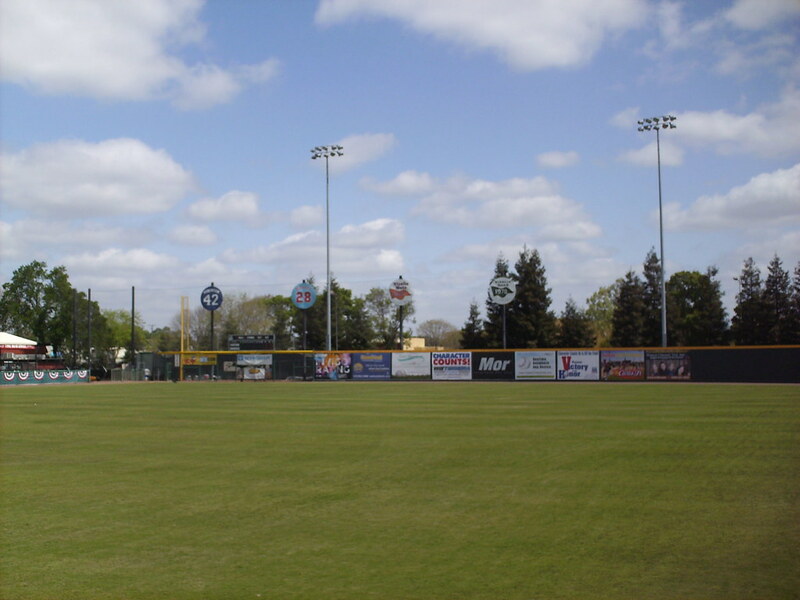 The grandstand at Recreation Park, as seen from center field. 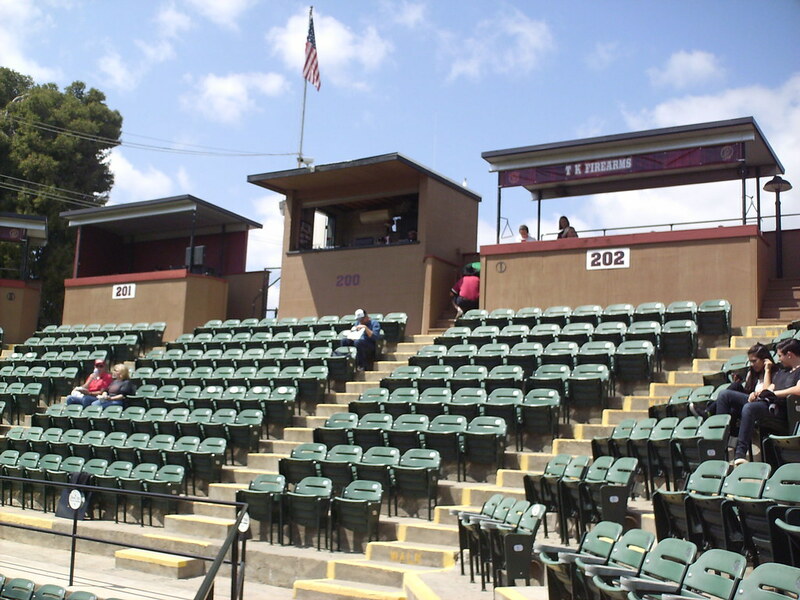 The grandstand is a small but steep concrete bowl with a small pressbox and bare bones suites along the top. 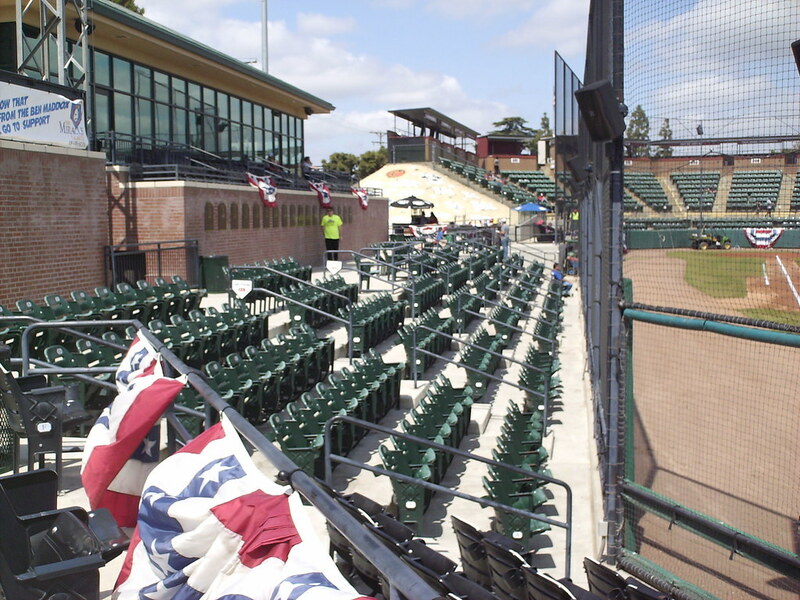 An additional area of seating was added to the park during a 2009 renovation and features more modern enclosed suites. 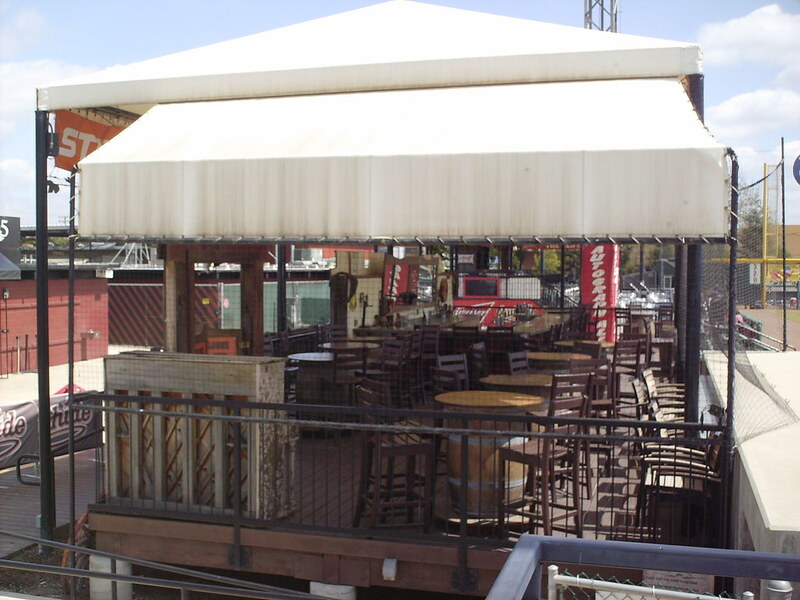 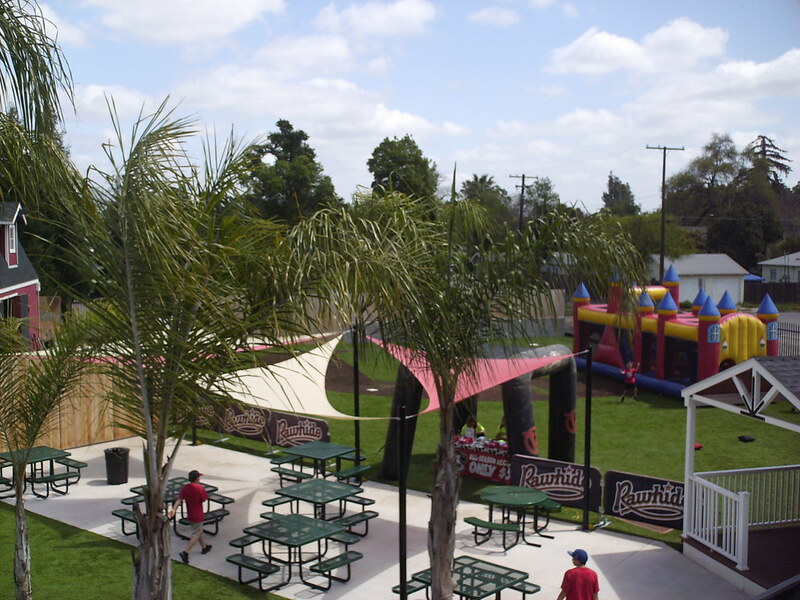 The renovated area down the right field line features an enclosed restaurant with a party deck. 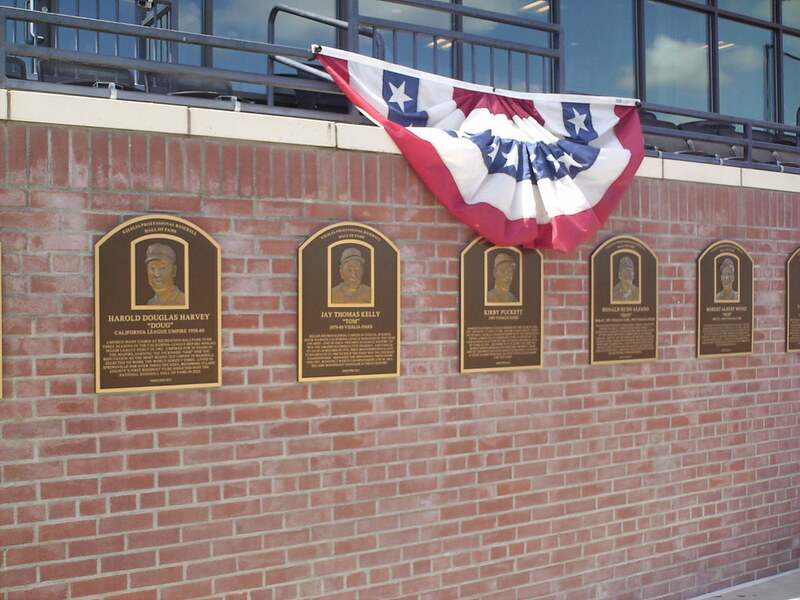 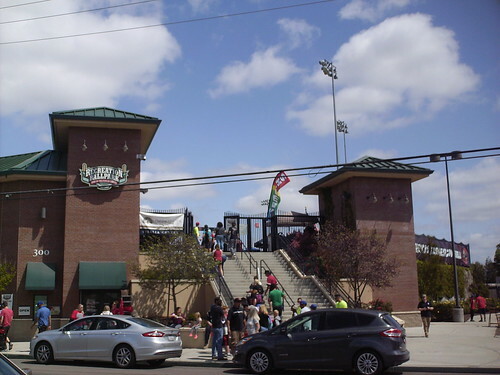 The Visalia Professional Baseball Wall of Fame runs in front of the restaurant and suites on the first base side. 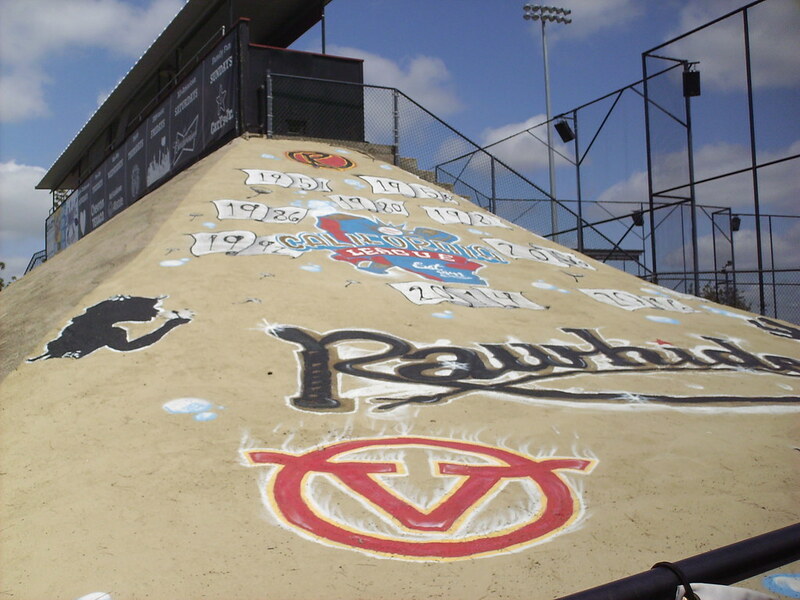 The concrete hill that makes up the main grandstand is decorated with murals by local artists. 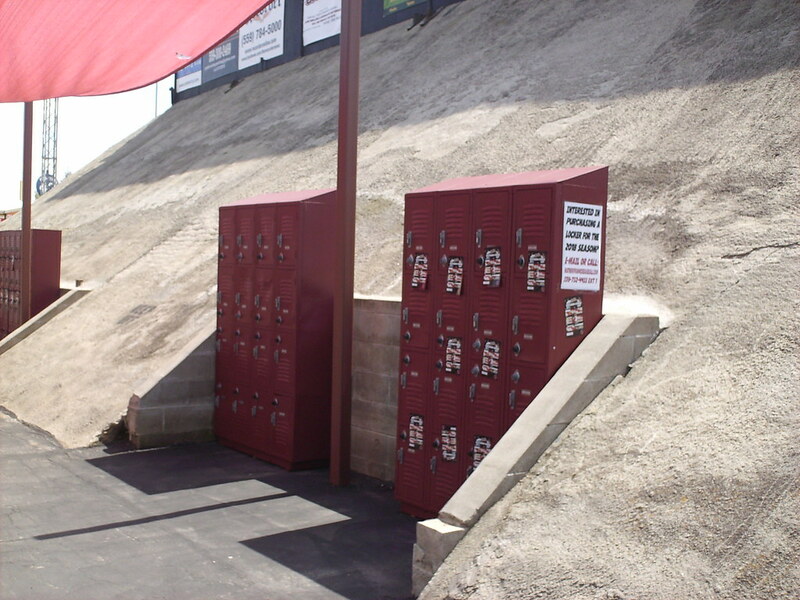 Fans can rent lockers on the concourse at Recreation Park. 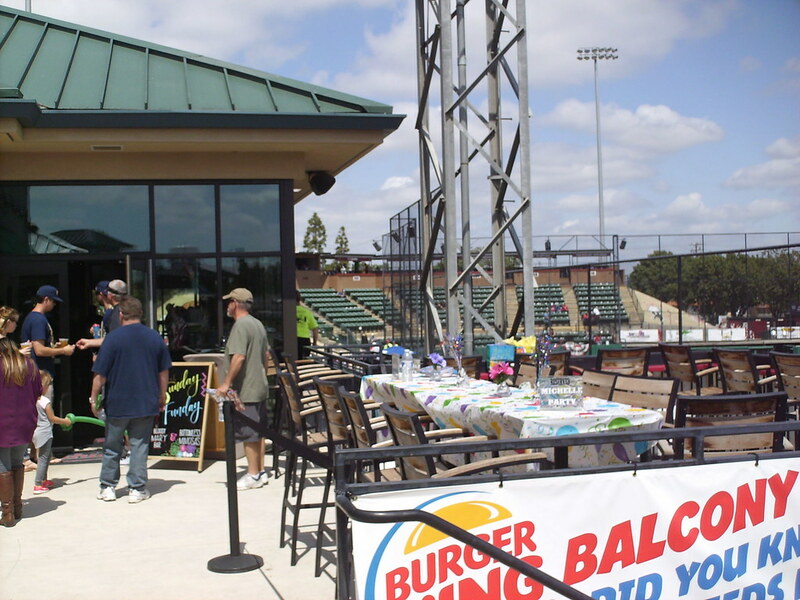 A saloon themed party deck sits in the left field corner and features barrel tables and a piano. 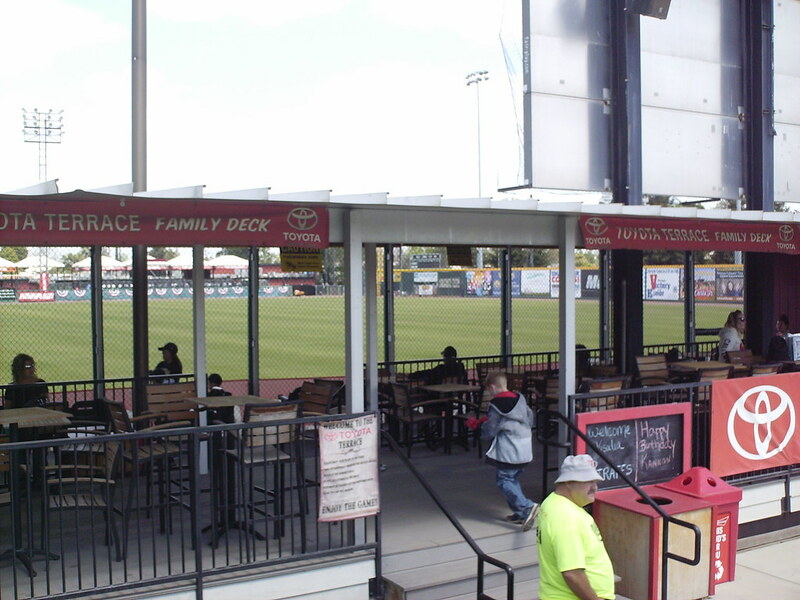 More modern, traditional table seating sits outside the saloon in left field. 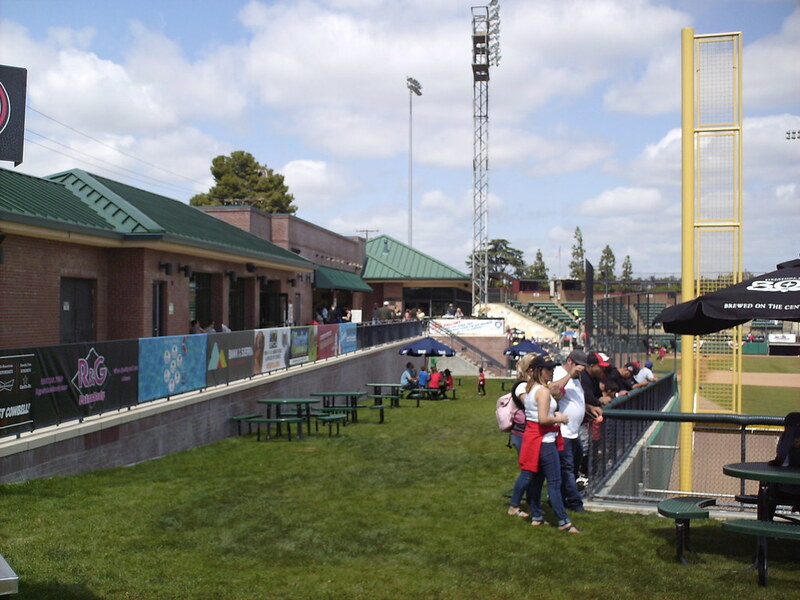 A covered picnic terrace sits behind the right field wall. 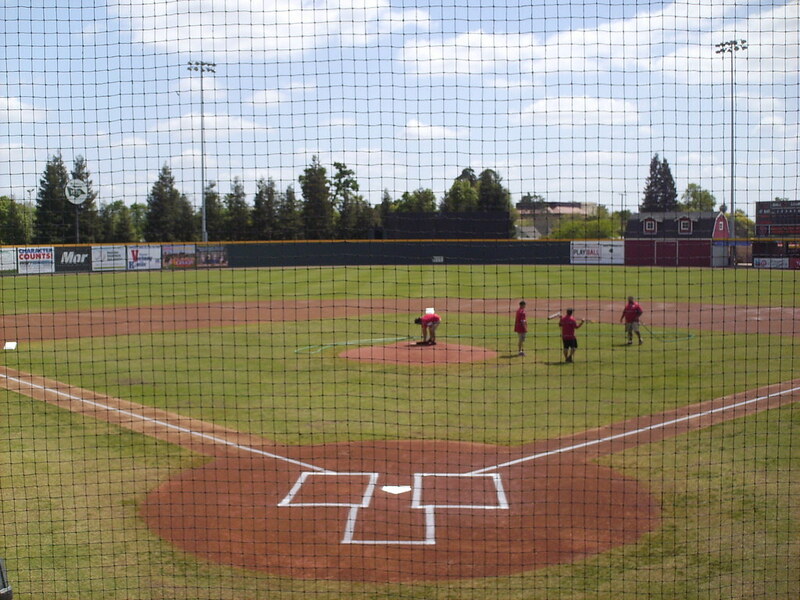 Berm seating wraps around the right field foul pole. 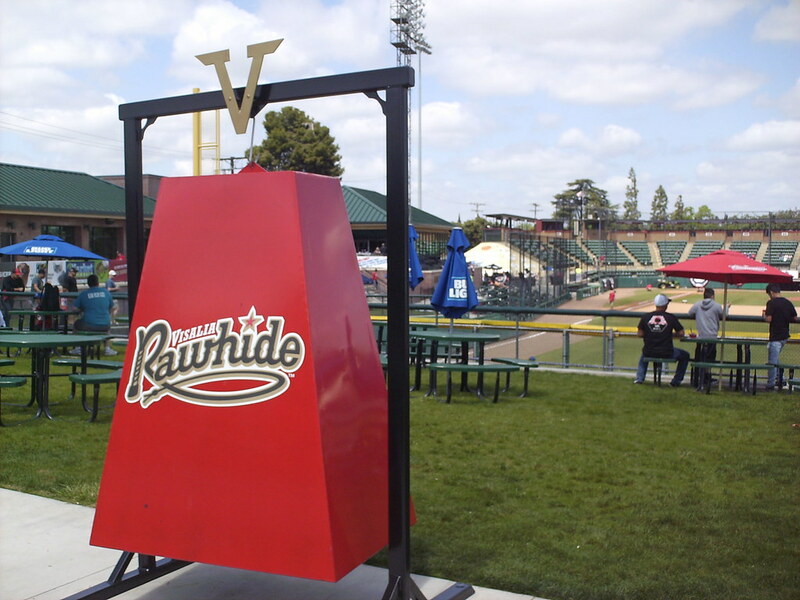 "The World's Largest Cowbell" sits on the "pasture" berm and rings whenever the Rawhide hit a home run. 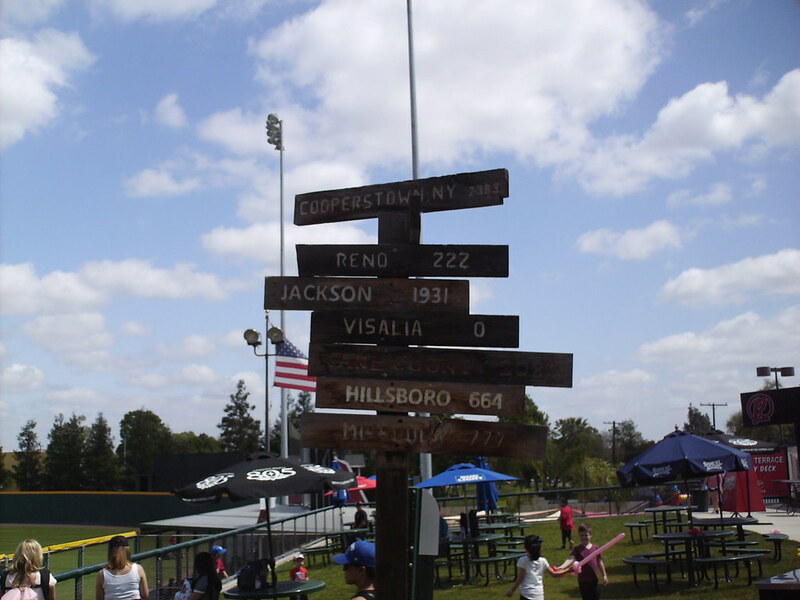 A sign on the outfield concourse shows the distances to all of the other parks in the Arizona Diamondbacks farm system. 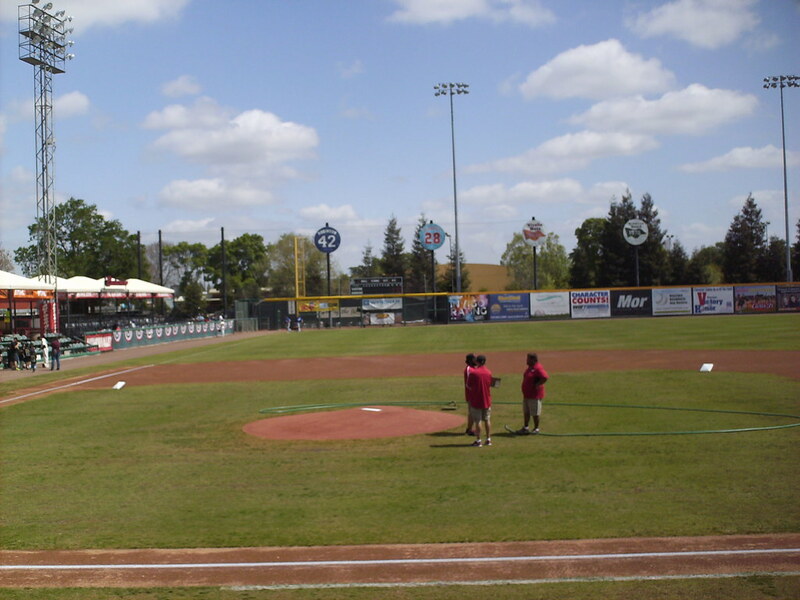 A children's play area sits behind the berm in the right field corner. 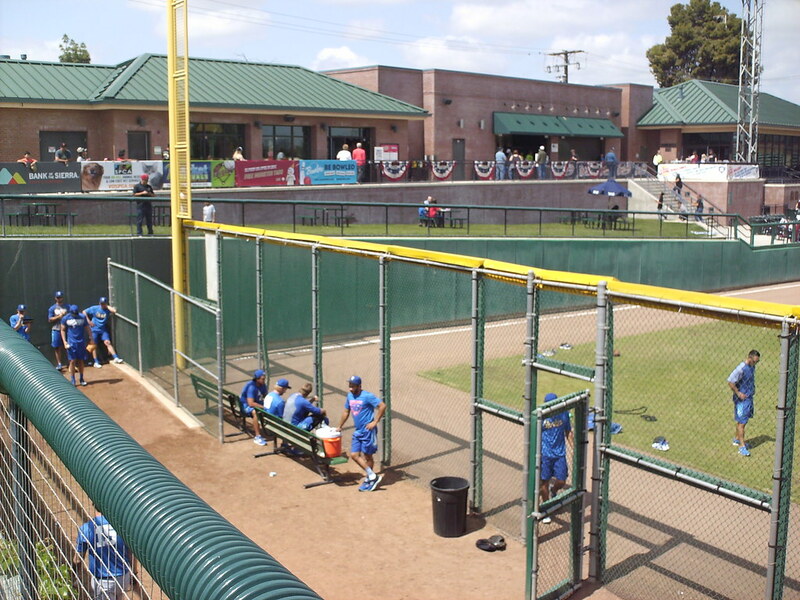 The bullpens sit behind the large chain link fences in the outfield corners. 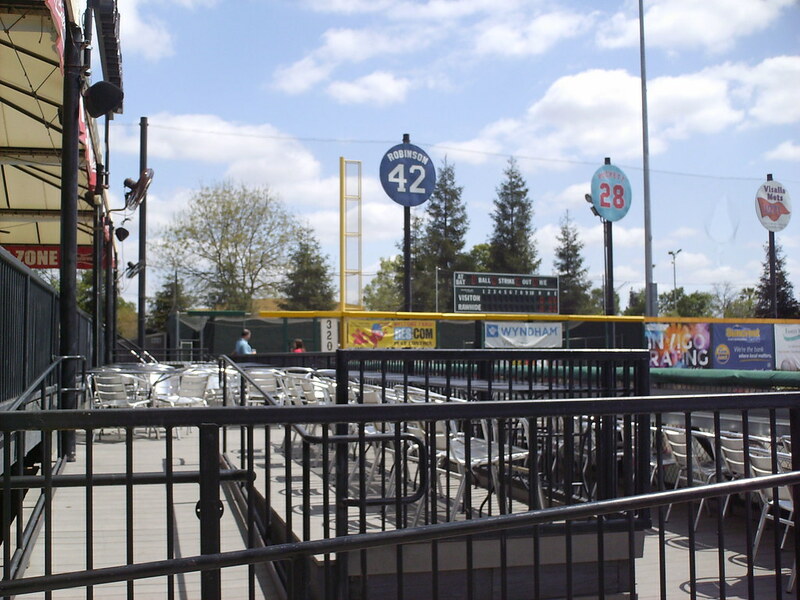 A small scoreboard sits above the left field fence, and tall round plaques celebrate Visalia's retired numbers and California League titles. 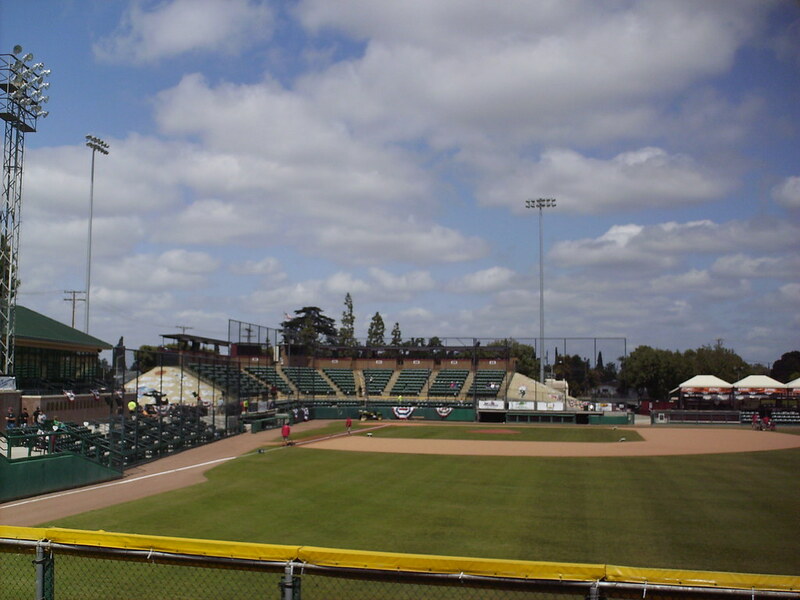 The main scoreboard sits above the right field wall. 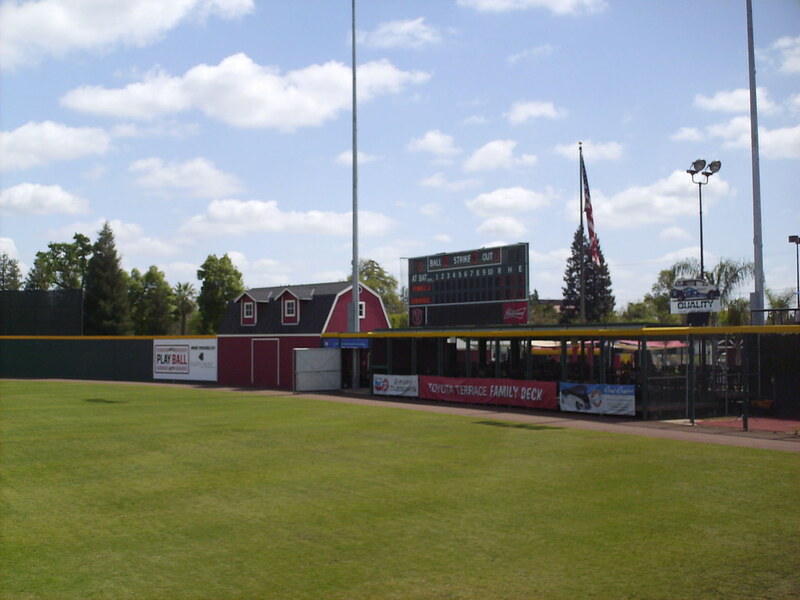 The groundskeepers shed is painted to look like a barn. 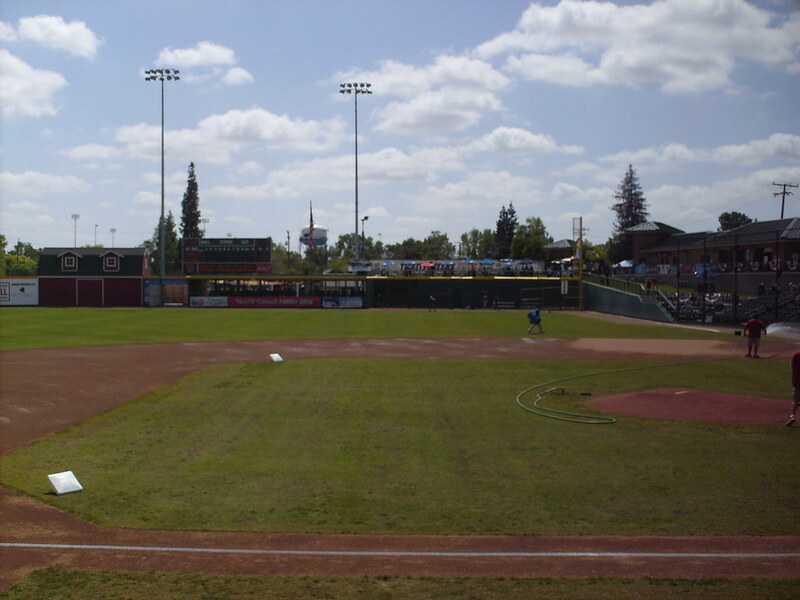 The Visalia Rawhide on the field during a game at Recreation Ballpark.